Free strategy games you can play as a family to help your children develop their thinking and logic skills. Strategy games promote healthy brains! If you want your children to do well in school and life then give them opportunities to stretch their minds and think beyond the usual expectations. Your brain has been so incredibly designed that as you continually exercise it by learning new things you are creating new neurons and connections which can last throughout your whole life. So, don't ever stop learning. Strategy games are a wonderful educational tool to help your children develop their brain power! They help build your child's thinking and logic skills which are a necessary foundation for higher math and science. Strategy games involve problem solving. They develop your child's spatial thinking skills by helping a player to form an image in his mind before placing his piece on the board. Chess is a perfect example of a strategy game. When using strategy a player must develop a sequence of actions and examine the consequences of an action before his turn. This helps to promote forward thinking skills and comprehension. There are a vast array of wonderful commercial games which are based on strategy. However, there are many free strategy games that you can play and prepare quite simply that won't cost you anything. 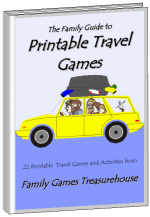 We have chosen 18 strategy focused games which are suitable for the whole family to play together. After you have played these games you might like to check out the rest of our board, card, tile and dice games for some more free strategy games. 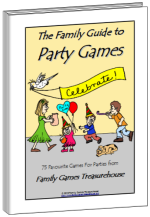 We hope you and your family enjoy playing these fun learning games together. Talking and laughing with each other not only improves brain function but is a wonderful way to promote family togetherness. Tower of Hanoi - A one-player strategic card game. Click here if you would like to play more family card games. Chess - Arguably the best strategy game ever created! Fox and Geese - An exciting strategy game where the fox and geese try to trap each other. 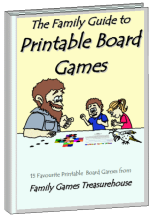 This is a printable board game (PDF format) for you to print and play at home. Halma - A challenging strategy game where each player must move his counters to the opposite corner. This is a printable board game (PDF format) for you to print and play at home. Leapfrog - A fun game for 2 players using some strategy and logic. This is a printable board game (PDF format) for you to print and play at home. Quartette - A top game where you use some strategy to get four counters in a row. This is a printable board game (PDF format) for you to print and play at home. 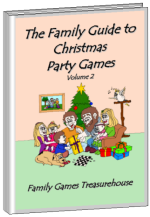 Click here if you would like to play more family board games. Sprouts - The rules may be easy for this strategy game but it is difficult to win! 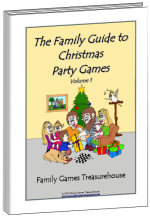 Click here if you would like to play more family pen and paper games. We hope you enjoy playing these free strategy games. If you would like to play more games with your children to help improve their learning skills then check out these free educational games.